A man who fled police custody after being arrested this morning has been re-arrested following a helicopter search. 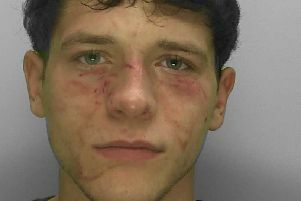 The 26-year-old man was arrested about 9.45am today in Goring for not sticking to his bail conditions, a spokesperson for Sussex Police said. Upon arriving at custody he felt unwell and was taken to Worthing Hospital. However while receiving treatment he absconded from the hospital and was arrested nearby about 5.30pm, the spokesperson added.